51 Heritage Court, Hillsdale This five-bedroom colonial is sun-drenched inside, thanks to oversized windows and an atrium, and the large back deck is ready for summer. Asking price: $749,000. 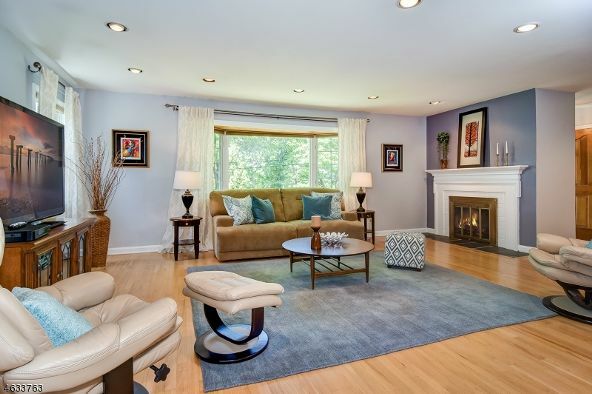 Open house: Saturday, June 18, 12 noon to 4 pm. This week, we focused on what our neighbor to the west has to offer, and it turns out that New Jersey's hometown pride is well-earned, thanks to its diverse, vibrant cities and bucolic suburban towns. 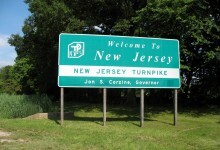 (It's nicknamed the Garden State for a good reason.) 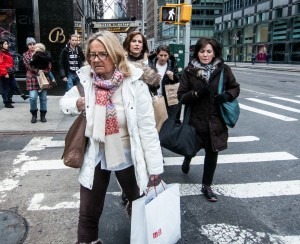 If you want to relocate, you'll find a wide range of options in the many friendly, suburban towns within commuting distance to NYC. 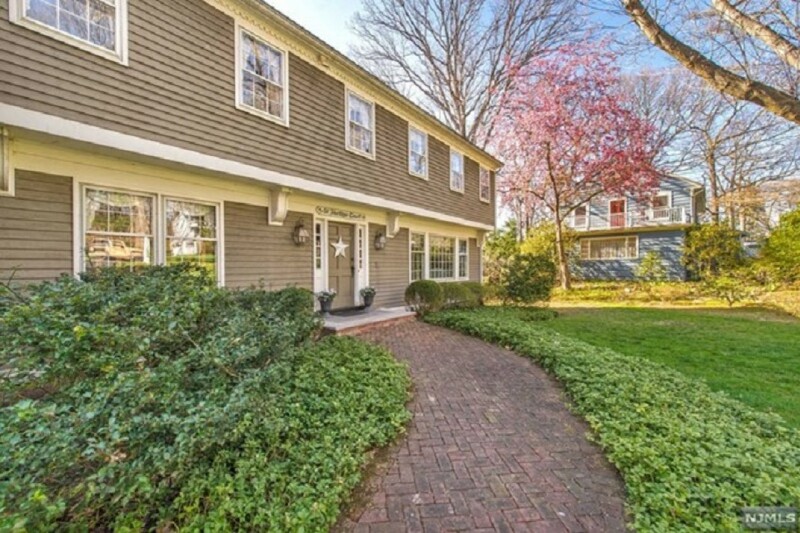 Read on for a selection of weekend open houses, for those ready for a move across the river. 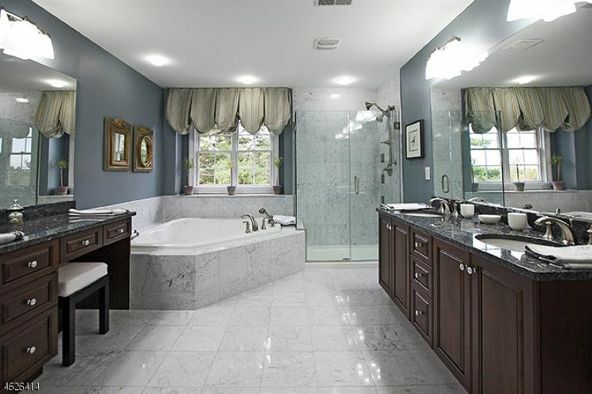 3 Cedar Gate Ct., Livingston We're impressed by the massive bathroom in this three-bedroom condo in Livingston, an Essex County township about an hour from the city, known for its strong local schools. Inside, you'll find an updated chef's kitchen, sunny breakfast nook, and a spacious deck. 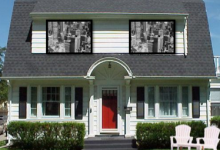 Asking price: $809,999. Open house: Saturday, June 18, 2 pm to 4 pm. 191 Underhill Road, South Orange From the deck of this four-bedroom home, you can see all the way to the Manhattan skyline—and the city's an easy commute away by New Jersey transit. Inside, the kitchen has been updated with new appliances, and overlooks lovely, near-rural surroundings. Plus, a large living area and den make it easy to host get togethers. Asking price: $679,000. Open house: Saturday, June 18, from 2 pm to 4 pm. 96 Lessing Road, West Orange This five-bedroom ranch—in a corner of Essex County that's a 40 minute bus ride from the city—features an eat-in kitchen and separate dining room, a finished basement complete with a bar, and a sizeable back patio, which all makes for comfortable entertaining. Asking price: $459,000. 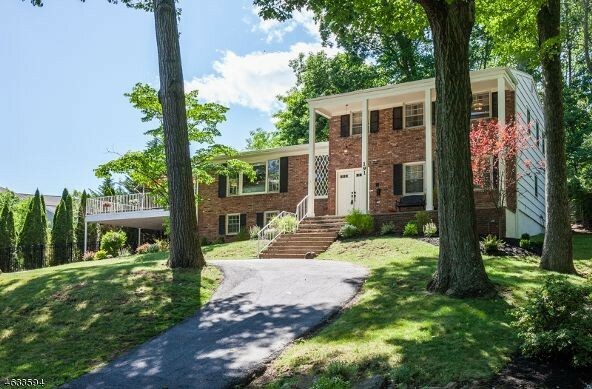 Open house: Sunday, June 19, from 1 pm to 4 pm. 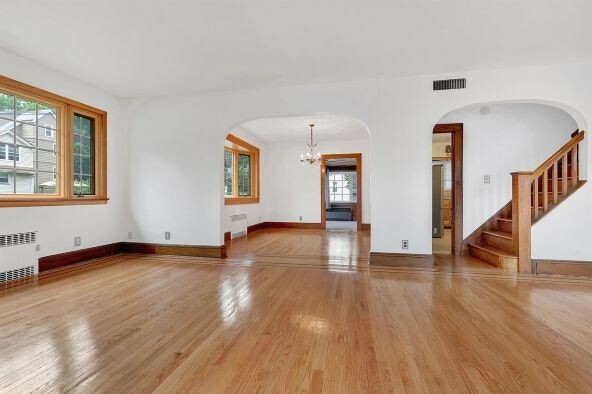 9 Monona Avenue, Rutherford The interiors of this three-bedroom colonial feature some appealing architectural flourishes, like the arched entryways seen here. 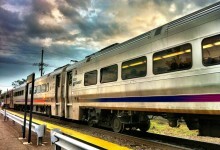 You'll also find a large and stylish vintage kitchen, as well as an unfinished basement with plenty of potential—plus, living in Rutherford means a quick 30-minute train ride to Penn Station. Asking price: $400,000. Open house: Saturday, June 18, 1 pm to 3 pm.